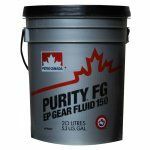 Petro-Canada’s PURITY™ FG EP Gear Fluids are advanced food grade lubricants formulated to deliver long lasting protection. PURITY™ FG’s outstanding performance results from more than 30 years formulating experience. 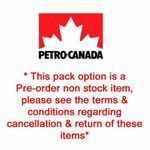 Using the HT Purity Process, Petro- Canada produces a 99.9% pure, crystal clear base oil – among the purest in the world. 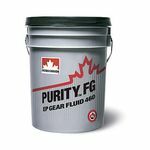 Virtually free of impurities that can hinder performance and fortified with specially selected performance additives, PURITY™ FG EP Gear Fluids provide outstanding resistance to oxidation, and protection from wear and shock loading.